Bullet Tooth Tony, Smasher O’Driscoll, Sphinx, Juggernaut, Killer. Through the commendable film career into which Vinnie Jones seamlessly segued following his 15-year professional football career, the Hertfordshire-born footballer-turned-thespian has in more recent times come to embody his fair share of colourful characters on the big screen, each blessed with names that seldom bring to mind the image of a happy-go-lucky rom-com protagonist. Given his imposing frame, the snarling expression frequently etched beneath his furrowed brow and a blatant penchant for pugilism, it’s no wonder movie directors so love to bring Jones into collaboration as the bulky bruiser, hardened hooligan or red-blooded baddie. After all, throughout much of the 1980s and 90s on football pitches scattered throughout Britain, Vinnie Jones inherently played the very same role effortlessly. 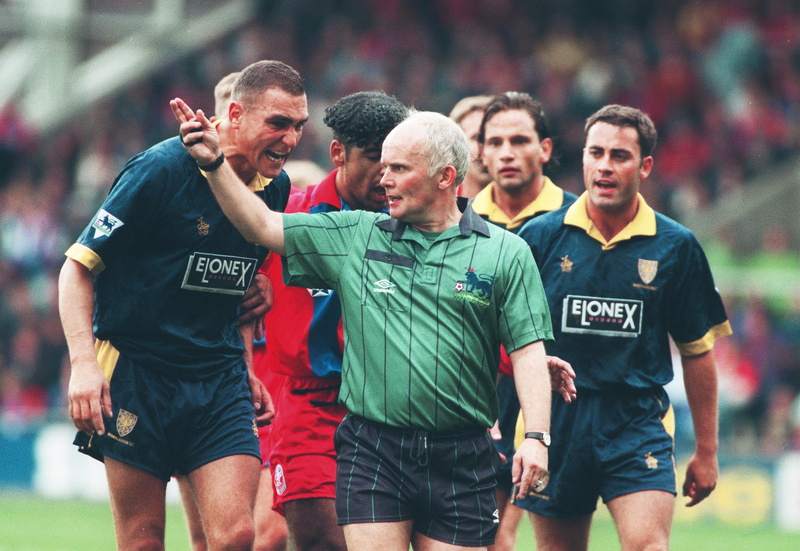 Only instead of enforcing for the mob, boosting scores of flashy motors, or marshalling a motley crew of prison inmates into a supreme footballing team, Jones was busy introducing himself in unique fashion to Paul Gascoigne as he led Wimbledon’s Crazy Gang through the most controversial and memorable period in the club’s history. 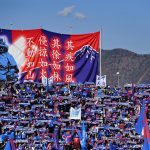 Anyone and everyone brave, or stupid, enough to stroll through the midfield into his territory was dealt with in no uncertain terms. 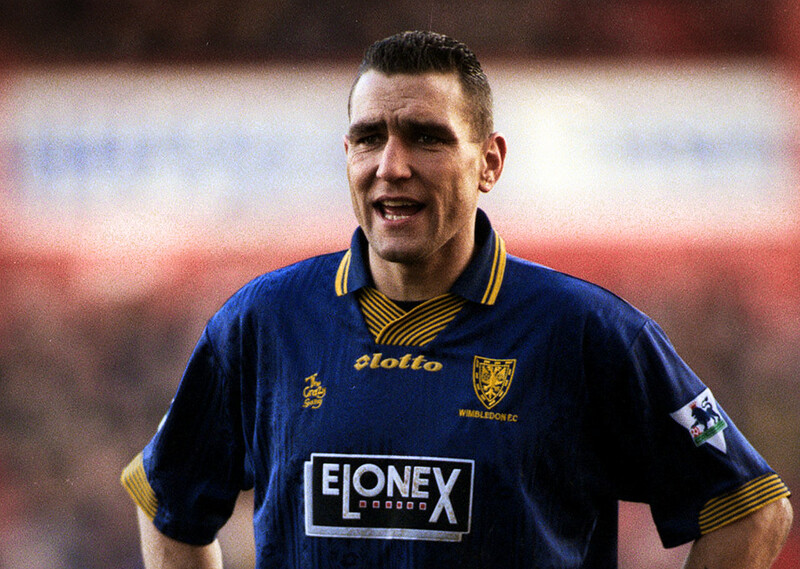 A ceaseless battle between the desire to retain his hard-man image while longing to be recognised as an unquestionably talented sportsman, Vinnie Jones’ football career was an exercise in small-scale self-destruction. It may not have been pretty but its legacy, and its owing to a culture now lost to the past, deserves a place of its very own, set aside from his post-retirement antics in Tinseltown. The fleeting football days of Vincent Peter Jones may have ended with him retiring a year shy of the new millennium, leaving behind his player-coach role at final club Queens Park Rangers, and with it the game he loved, at the ripe old age of 34. But it began with him emulating his 1966 World Cup hero Alan Ball on his old primary school’s perennially pitted pitch. A picture of innocence at just five years young, drawing power from a pair of famously white boots to score his first ever hat-trick; the earliest memory of football he can recall was one that the juvenile Jones swore to himself he’d never forget. Fourteen years on, Jones was taking to the pitch to make his debut for west London club Wealdstone FC – on a weekend away from his day job as a building site labourer – with whom he would explore the nooks and crannies of non-league football for two seasons before embarking eastwards in pursuit of a place in the professional game in the unlikely surroundings of Sweden. After a brief stint with IFK Holmsund, Jones returned to England to sign his first professional contract and seal a £10,000 move to the club with which he’d soon become unequivocally linked: Wimbledon. Calling upon inspiration from his once prolific younger self, envisaging himself back in those white boots of Alan Ball’s and channelling his goalscoring days of yore, Jones notched his first Wimbledon goal on only his second turn-out for the Dons with the vital strike in a 1-0 victory over Manchester United. He soon became something of a permanent fixture in a Wimbledon squad still buoyant atop a heady period of unprecedented success. In just four years, Wimbledon had scaled the English football pyramid from its fourth tier to its summit, having only been elected to join the Football League nine years earlier. The club’s rise was emphatic and in 1988 it would receive previously implausible silverware in the form of a historic FA Cup conquest. After fighting their way to the competition’s final, circumventing the likes of Jones’ hometown club Watford to play before an old Wembley packed to the rafters with more than 98,000 soon-to-be-stupefied onlookers, Wimbledon took on the might of First Division champions Liverpool. They emerged with the prestigious trophy held aloft in their muddied and scarred hands, thanks to a shock 1-0 scoreline. That final would so effectively encapsulate everything that the Wimbledon of that era, and Jones, who fitted so perfectly into that squad, was about: sticking it to the big boys, playing the game on their own terms, and ruffling feathers. Unlike most who would innocently deploy such a saying in jest, for the Wimbledon lot, the so-called ‘Crazy Gang’, hanging from the chandeliers was unlikely to be just a passing phrase. Few would struggle to imagine the likes of Vinnie Jones, Dennis Wise, John Fashanu, Mick Hartford or the scorer of the FA Cup-winning goal, Lawrie Sanchez, doing just that in celebration. The idea of a team being sent en masse to their local boozer by their boss for a few nerve settlers – on the eve of an FA Cup final no less – is laughable today, but football was a whole different ball game in the late-80s, quite literally. At its centre were players like Vinnie Jones, who today would be chastised and shackled by the rule makers to within an inch of their sanity and professionalism, but back then thrived. Off the pitch, countless players found their salvation at the bottom of a pint glass after every game, win, lose or draw. On the pitch, the breed of football being played was comparatively barbaric, particularly the one widely proliferated by Jones and his ilk, almost unrecognisable to the one watched across the world in 2017. 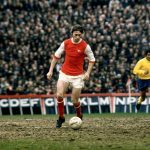 Foolhardy 50-50s, misjudged ankle-high lunges, and even ball-winning tackles from behind are routinely met with red cards in the modern game. The sport played by Jones, however, lifted straight from the playground of the school of hard knocks, would see referees hesitate to deliver even a yellow wherever possible, despite the protests of those with newly furnished stud marks found embedded high upon exposed thighs. There was no question; Jones loved it. His disciplinary record, likely framed and placed on a mantel somewhere in the family household like a badge of honour, provides fitting proof. It became increasingly clear over the years that Jones’ playing style owed much to his blend of belligerent pride and a genuine belief that his brand of physicality was ultimately harmless. The robust tricks of the trade learned from his trials in the lower leagues, when he was furnished by an unrelenting resolve to make good on his chance at the top, combined to make him a competitor that was both determined and, at times, dangerous. 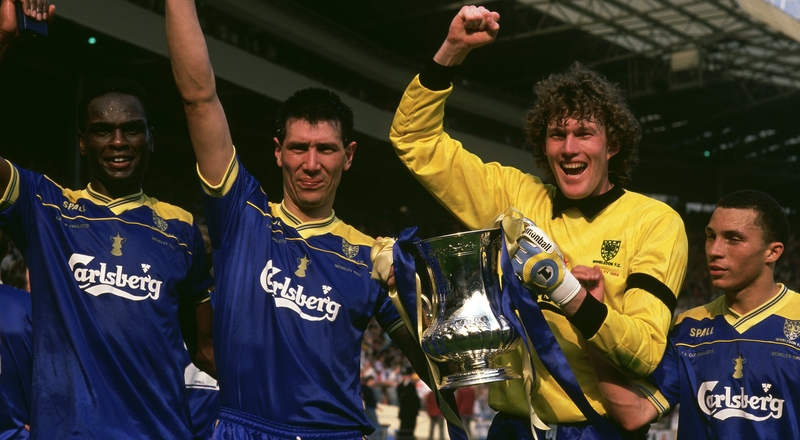 Added to the medley of larger-than-life characters with whom he shared a Wimbledon dressing room, Jones and his enabling teammates seemed to collude in orchestrating an artificial air of untouchability that fanned the flames of the Crazy Gang’s spirit. They would willingly admit they would explore any means necessary in order to win football matches – though such an ethos would regularly dispose of the integrity of the sport – gladly spitting in the faces of those who dared deride their style or pity their lack of sophistication. This naturally roused the team, and the club in the wider context, and can be pinpointed as a major factor in the immense on-field successes experienced by Wimbledon throughout the course of the late 80s. However, following many a final whistle, Jones would carry this demeanour off the pitch and this regularly lead him astray. In 1992, far from shying away from his many misdemeanours in order to concentrate on the more finessed minutiae of the game and prove wrong those who doubted his more orthodox attributes, Jones wholeheartedly embraced his wild side and agreed to feature in a football VHS appropriately named Soccer’s Hard Men. Jones immediately appears, seated and relaxed, dressed in a chequered tweed suit, fighting to conceal a smirk as he details the scenario that led him to squeezing Gascoigne’s manhood. His comments on that particularly famous encounter prove to be just one of many interview segments shown among soundbites where Jones willingly shares advice for other budding “hard men”, spliced between archived highlights of horrendous tackles and on-pitch punch-ups. For his misjudged role in the production, Jones was fined £20,000 and handed a six-month ban from football – ultimately suspended for three years – by the FA for his role in “bringing the game into disrepute”. Of course, his being so publicly reprimanded changed little about the player or his far from exemplary behaviour. It wasn’t in Jones’ nature to be tethered by duties of good will or sportsmanship. After all, his style was all he knew and he seemed assuredly proud to have, as he put it, “taken violence off the terracing and onto the pitch”. 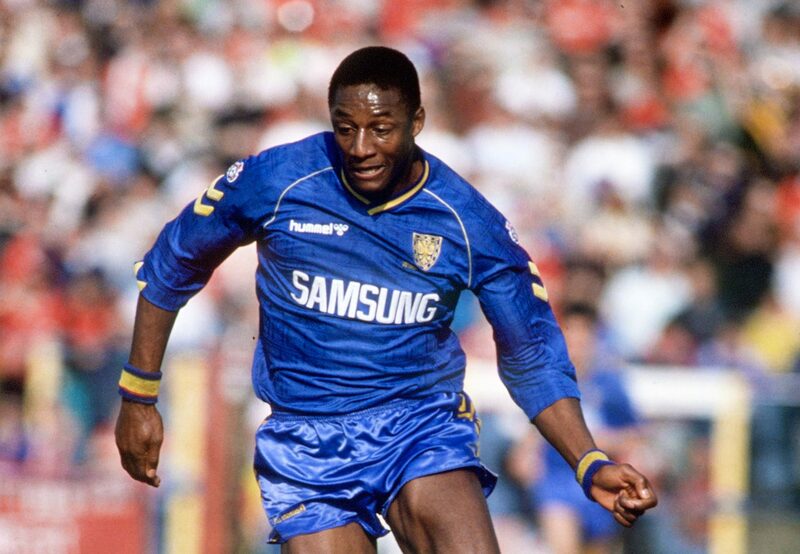 Beyond his initial spell at Wimbledon, Jones spent further seasons with Leeds United, where his commitment and candour aided him in becoming something of a fan favourite in West Yorkshire, Sheffield United, and Chelsea, before returning for an extended stay with Wimbledon which preceded his career’s final campaign with QPR. Though silverware alone, or lack thereof, should never dictate the subjective success of a player’s career, the fact no major trophy followed Jones’ FA Cup victory made an argument all of its own. Despite his seemingly insatiable appetite for wanton anarchy, Jones’ footballing ability was evident to many, not least of all Wales manager Mike Smith, who called up the then-29-year-old midfielder in 1994 to make his international bow and take the extraordinary step of playing for the Welsh national team. Jones, uncapped by England, qualified to play for the Dragons on account of his maternal grandfather having been born in Ruthin, north Wales. Though Jones only turned out in the famous red of his adopted country on nine occasions, his unlikely call-up afforded him the opportunity to experience international football at an age when it seemed such an honour would pass him by, especially with his home nation of England so heavily stacked in his position and making no eyes at the much-maligned enforcer. Jones’ passing flirtation with the international game not only underlined his ability, all the while leading many to wonder what he could have achieved had he been willing and able to curb his intemperate streak, but, in tune with many of his actions, sparked controversy. Disrespectful though such a response may seem, calling into question the quality of a player who had performed so admirably in the top flight and who proudly wore an FA Cup winner’s medal around his neck, the inspiration behind his retort belongs to a school of thought that holds much weight in regards to Jones’ career. Tackling every obstacle in his way head-on as Jones did so naturally, from a prospective life of crime as an adolescent to battling his way up the leagues from the bottom of the ladder and constantly needing to prove himself to his professional peers, Jones fought for everything he had. But still the question remains: had Jones devoted himself and honed his never-say-die attitude in the direction of becoming the greatest footballer he possibly could have, just how much could he have achieved? Subverting his attention away from appearances on the likes of Soccer’s Hard Men and needless disciplinary issues may well have reshuffled the pack in Jones’ favour and dealt him the opportunities to fight for league titles as opposed to a rare smattering of cups. Perhaps he would have had the chance to ply his trade on the continent and show the rest of Europe just what he was capable of with the ball at his feet and the bit between his teeth, and ultimately to represent England as opposed to Wales. Such hypotheticals, however, glance past the fact that those very actions helped Jones to build the character he would be so willingly typecast into for the big screen and secure a lucrative and fulfilling film career. As the sun set on the twilight of his football career, his new path shone a new light and seemingly found him a new home in Hollywood even more suited to him than the old football pitch. From the perspective of the football fan, Jones’ playing career, dramatic rise, FA Cup win and all reads like a story without a deserved blockbuster ending, a protagonist whose story arc was left wanting. But to Jones, who played the villain so well before Hollywood came calling, it was simply the prologue to his tale that continues to be written, only with a few different costumes and guises to be worn along the way.